Marie Sophie Frederikke was Queen Consort of Denmark and Norway. She was born as "Marie Sophie Friederike von Hessen-Kassel", the eldest child of Prince Charles of Hesse-Cassel and Princess Louise of Denmark. Her paternal grandparents were Landgrave Frederick II of Hesse-Cassel and Princess Mary of Great Britain. Mary was a daughter of George II of Great Britain and Caroline of Ansbach. Her maternal grandparents were Frederick V of Denmark and Louise, another daughter of George II of Great Britain and Caroline of Ansbach. Her father was the second son of the Landgrave and as such, had no own principality. Thus he acted in several such positions that were offered to cadet members of royal houses by their reigning relatives. Denmark was offering more and better positions than the small Cassel. She grew up largely in Denmark, where her father held remarkable positions, such as governorate of provinces. Her mother was third and youngest daughter of king Frederik V of Denmark and his consort, Louise of Great Britain. As such, she was niece of King Christian VII and of Prince Regent Frederik, as well as first cousin of Regent, Crown Prince Frederik, the Danish rulers of that period. 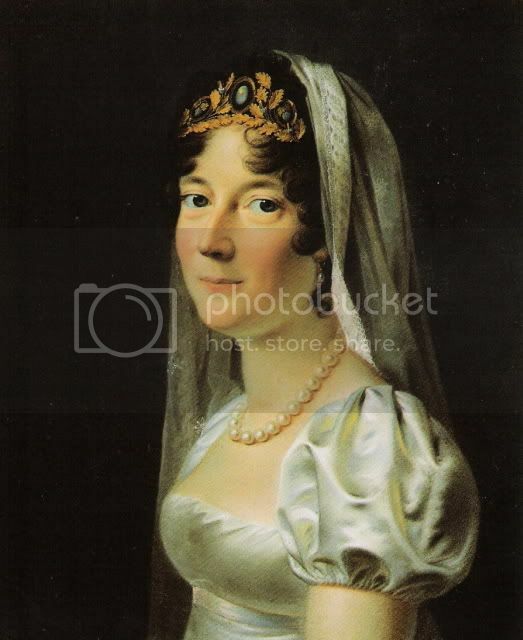 In 1790 she married her first cousin, Crown Prince Frederik of Denmark (1768-1839), then Regent of the Realm, the future king Frederick VI of Denmark, despite objections from the government and the advisors of the Royal House. Her husband had been since 1784 (16 years old) the Regent on behalf of his insane father Christian VII of Denmark, who died 1808. The royal couple assumed the throne officially only upon king Christian's death, having acted as de facto monarchs already some couple of decades. In the aftermath of the defeat of Denmark's ally, Emperor Napoleon of the French, Denmark lost its dominion Norway, and the royal couple ceased to be Norway's king and queen in 1814. 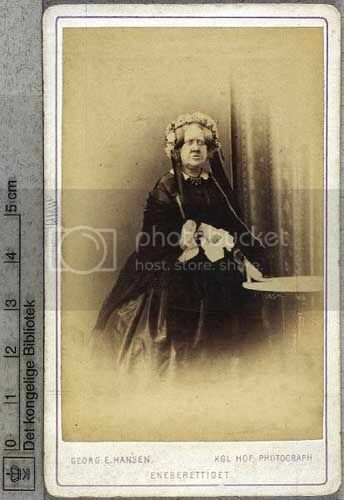 - Wilhelmine of Denmark (1808-1891), firstly married her second cousin Prince Frederik of Denmark, the future Frederick VII of Denmark, but they divorced, and she married secondly Duke Charles of Lyksborg, Duke of Glucksburg, who was eldest brother of the future Christian IX of Denmark. Both her marriages were childless. Queen Marie Sophie Frederikke lamented the total lack of sons and of grandchildren of her own. When her youngest sister, Duchess Louise Caroline of Lyksborg, became widow when most of her large brood of children yet very young, Queen Marie accepted some of the younger ones into her tutelage in the Royal Household. They were much younger than queen's own two surviving daughters, which implies that the queen felt like a grandmother. 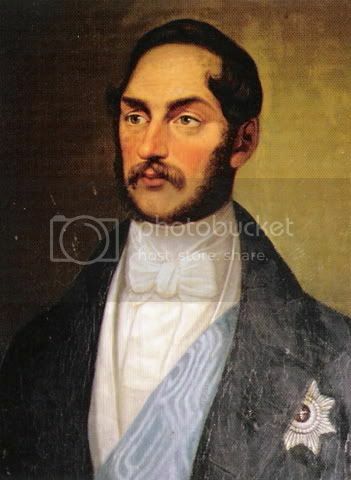 One such foster child of hers was prince Christian of Lyksborg, born 1818, the future Christian IX of Denmark. 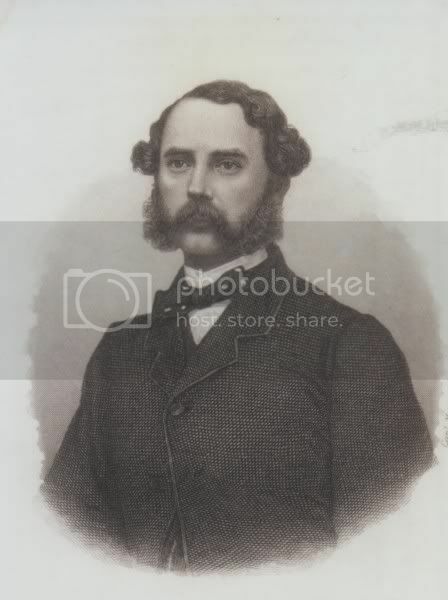 Christian of Lyksborg and his wife Louise of Hesse named their second daughter, Marie Sophie Frederikke Dagmar of Lyksborg (born 1847), in Queen's honor and her namesake. After her death (1852), that girl became Tsarina Maria Fedorovna of Russia, preserving there the Queen's first name (Maria/Marie). BTW, Princess Wilhelmine looks very pretty on those portraits. Are there some more colour portraits of Princess Caroline? I am pleased that Queen Marie found an outlet for her grandmotherly feelings with her sisters' children. I wonder if Hans was one of them. Wilhelmine does look very attractive, particularly in the full-length portrait. I have cut and pasted more information about her from the Rosenborg Castle site. Vilhelmine's marriage to Prince Frederik united the two lines of the Royal House, but the liaison soon turned out to be an unhappy one. That was not least because of Frederik's debauched life with infidelity and heavy drinking. The couple were separated in 1834 and divorced three years later. 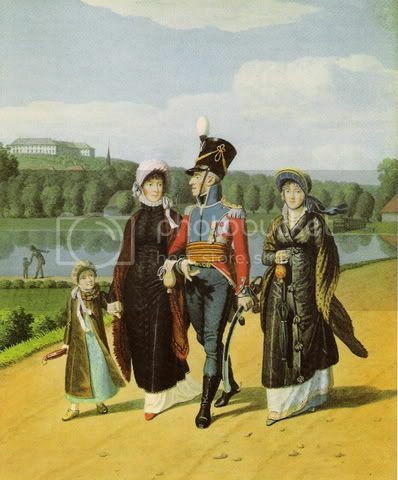 In 1838 Vilhelmine was married to Carl of Schleswig-Holstein, an elder brother of the later King Christian IX. Carl was active on the Schleswig-Holstein side of the war against Denmark in 1848-1851 (the Three Years War). That caused Vilhelmine's relations with the Danish Royal family to be severed for some time. In 1852 there was reconciliation and she again enjoyed a close relationship with her family in Copenhagen. It is surprising that she was able to divorce in a time when women were expected to accept these situations, especially as her father was intent on uniting the family. Did the fact that she was childless influence the situation? I hope Carl was a better husband to her. Well, Frederik VI was pretty tired of Prince Frederiks behavour, and after he threatend to kill Wilhelmine ( I think he was drunk), he agreed to the divorce. Maybe the lack of children made it easier for FVI to make that decision. 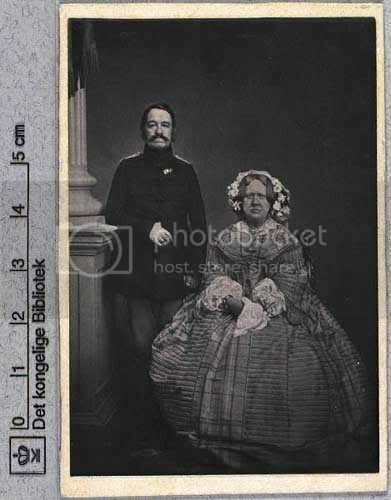 I think her marriage with Duke Carl was happier, eventhough he was very unpopular in Denmark. I don't have any to post right now, but I will look. 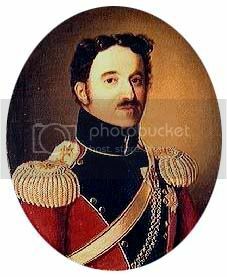 Here is a portrait of Carolines husband, Prince Ferdinand. And some photos. 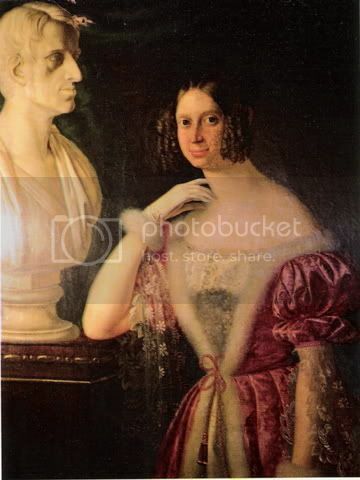 Caroline wasn't very pretty and it didn't help that she was burned in the face in an accident in 1830 which left permant scars. What happened to Caroline, that she was burnt? What kind of accident? It was an accident that happend while she was doing her evening toilette. A piece of her hair- arrangement caught on fire and she was burned in the face..
Had Carl been unpopular in Denmark before he took Prussia's side in the Schleswig-Holstein war? I am surprised that Wilhelmine was able to be reconciled with her relatives knowing the animosity to the winning side that was held forever afterwards by Alix and others. No,I wouldn't say that. Prior to the war he and Wilhelmine lived a quiet life in S-Holstein. Well, Wilhelmine was popular among the family, and her status as daugher of a king helped. Carl however remained unpopular in Denmark fot the rest of his life. Thank for all the information Kmerov. If you eventually find more portraits or photographs to add to this thread I would appreciate you posting them. That is lovely!! Going for a walk by the river with his family, just as his subjects would. I can see why King Frederik was popular. Princess Vilhelmine Marie, Duchess of Glücksborg. Her husband, Duke Carl of Glücksborg, older brother of Christian IX.